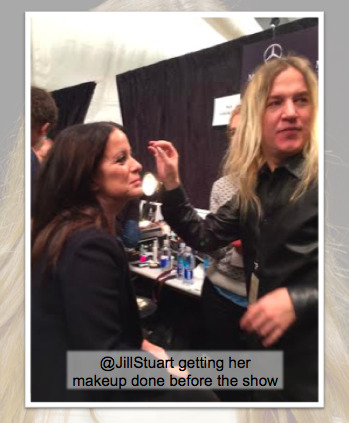 We are excited to bring you the back stage beauty breakdown from one of our favorite shows of the season, Jill Stuart. 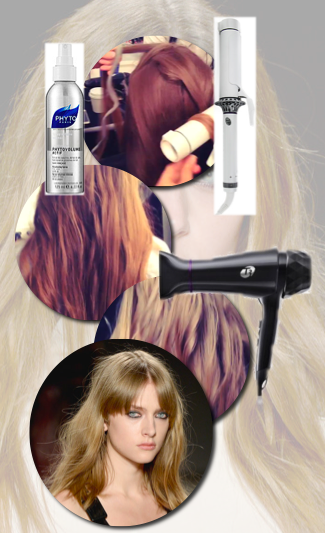 The inspiration for the hair look was irregular beauty that’s unimpressionable, untamable and easy. 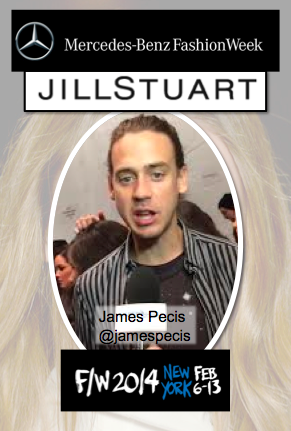 4) On the right side, brush hair down over the face (swooped to the side, but not tucked behind the ear). 5) Once hair is parted, go through section by section using the T3 BodyWaver Large Barrel Styling Iron, bending hair on each section in different directions so it looks natural and not too “done.” The goal is for the hair to look like it’s never been curled at all. 6) To secure the side part on the left, create a tiny braid behind the ear. Work PHYTO Matte Texturizing Paste into the roots of the hair and throughout the braid with fingers to keep it in place.